A blue satin garter is transformed into an elegant, meaningful part of your wedding with the addition of chiffon ruffles, a satin bow and platinum-plated Swarovski crystal heart charm. 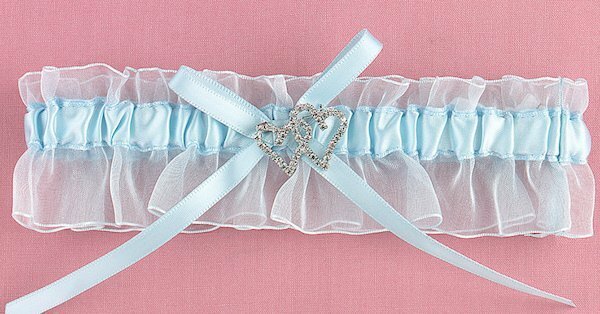 This garter could be the "something blue" suggested by tradition. According to British custom, the something blue to be included as one of the good luck charms in a bride's ensemble stands for purity, love and loyalty.